This nursing home negligence claim was filed in Prince George's County after a high-fall-risk resident died as a result of lacking fall prevention. It was filed in Health Claims Arbitration on January 22, 2018, and it is the 35th medical malpractice case filed in Maryland this year. It is the 5th nursing home lawsuit filed in this state in 2018. A 72-year-old man was admitted to the Villa Rosa nursing home after having a stroke. He was experiencing weakness on his left side and was residing at Villa Rosa to address his functional impairments. At the time of admission, he was on several medications including Trazadone, Metoprolol, Flomax, Simvastatin, Ventolin, and Spiriva. He had also seen an eye specialist to address his loss of peripheral vision and left hemineglect (an unawareness of items on the left side of his field of vision). Due to his visual impairment and left side weakness, the man needed extensive help with bed mobility, transfers, toileting, and walking. As such, he should have been assessed as a high fall risk. Despite his high risk for falls, the man was not provided with a care plan that included specific interventions to prevent falls. Six days after his admission, the man was found partially under his bed and covered in blood. Nurses noted a laceration on the back of his head and they were unable to obtain a blood pressure. He was taken to Prince George's Hospital Center via ambulance. As a result of the fall, the man suffered a brain hemorrhage, a cervical fracture, and an injury to his vertebral artery. The man remained in the Intensive Care Unit of the hospital for ten days until his untimely death. The man's death certificate notes that he struck his head when falling out of bed and lists his cause of death as intracranial hemorrhage. The claimant's expert witness, a nurse practitioner specializing in gerontology, confirms that Villa Rosa staff never properly assessed the man as a fall risk and never developed or implemented a care plan to keep him safe from falling. 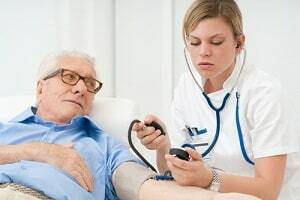 The record notes that the man needed assistance with bathing, dressing, eating, mobility, and continence, but there was no documentation of how nursing home staff planned to provide him with that assistance. Nursing home falls are one of the most common types of nursing home lawsuits in Maryland. Falling might seem like a minor problem, but falls can be fatal for the elderly. The one-year mortality rate of nursing home falls is 22%. When nursing home residents fall, particularly residents who were evaluated as high fall risks, they become victims of neglect. Nursing homes have a responsibility to thoroughly assess each resident's risk for falls and create a fall prevention plan. Failing to provide residents with appropriate measures to prevent falling is a form of abuse punishable by federal law. Failing to develop or implement a proper fall prevention plan. Failing to monitor the man's medical conditions at the time of his admission. Failing to properly train staff to meet quality care standards. As a result of the nursing home's negligence, a man suffered pain and death. The man's surviving wife suffered emotional pain and loss of companionship as a result of his death. Read more about nursing home fall lawsuits and wrongful death claims against nursing homes. Learn about the settlement value of a nursing home case.